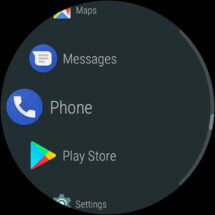 Wear OS Phone is only one of two apps in today's Wear roundup, and it isn't even a new release. 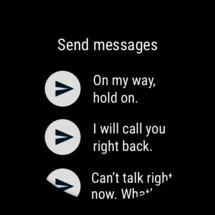 The reason I have listed it is because of the change in May to the outgoing call UI and the addition of quick replies. 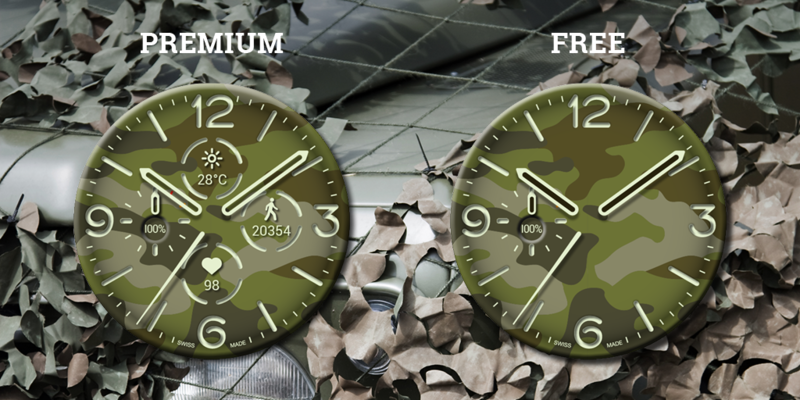 These aren't huge adjustments, though they are definitely welcome. 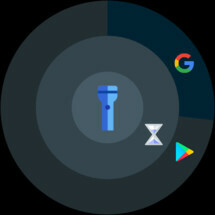 At least it's nice to see Google updating its languishing OS and apps, even if most developers have already given up on Wear OS. Button Launcher is the second app in today's Wear roundup, and it's actually really useful. 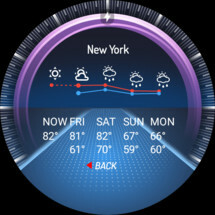 The app allows you to set different actions for your physical buttons. 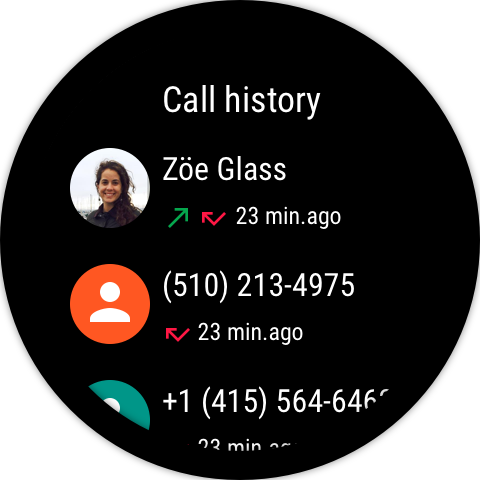 So if you would rather launch your phone dialer on a long press instead of Google Assistant, you can do that. 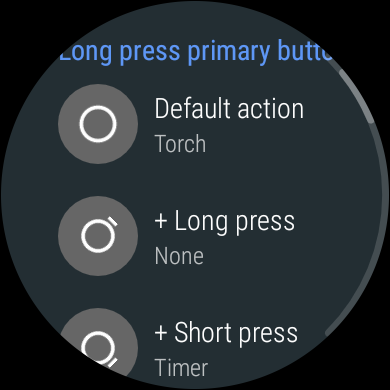 Heck, you can even set what apps you would like to launch on a short press, or from a secondary button, if you happen to have one. 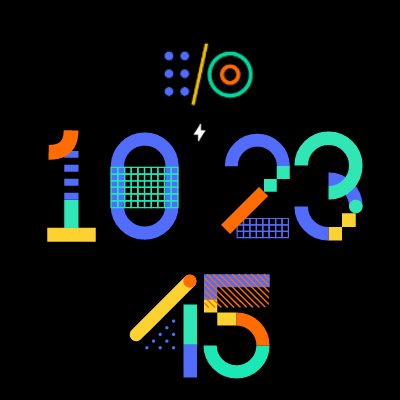 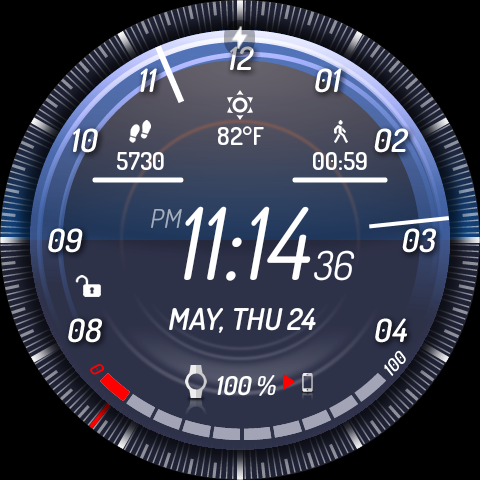 I figured I'd start the watch face section with a nice little freebie, and that's exactly what the I/O 2018 Watch Face is. 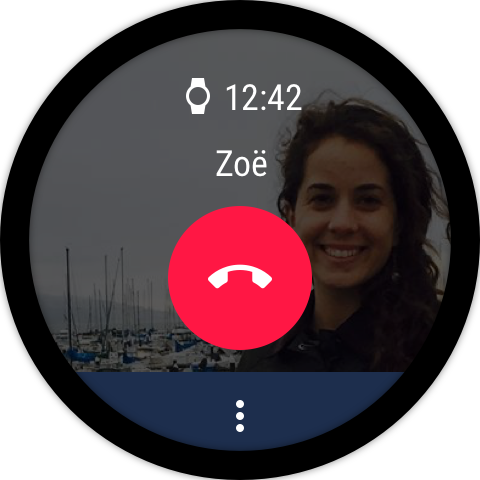 It was listed on the Play Store back in May right before I/O 2018, and as you can see, it's a very colorful face. 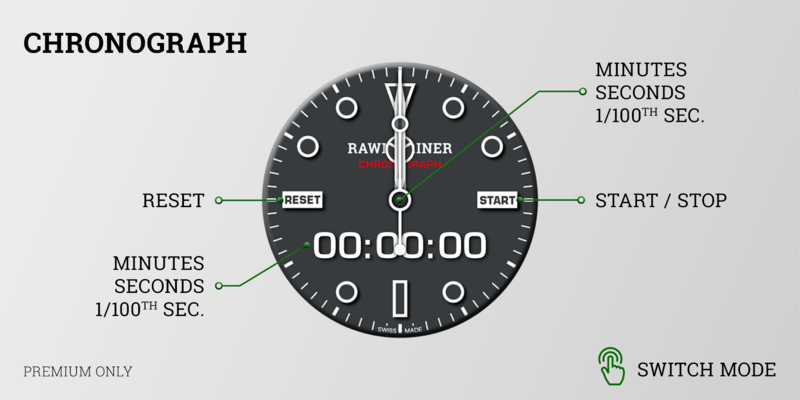 It includes a slick countdown timer for your seconds, and it changes with each one that passes. 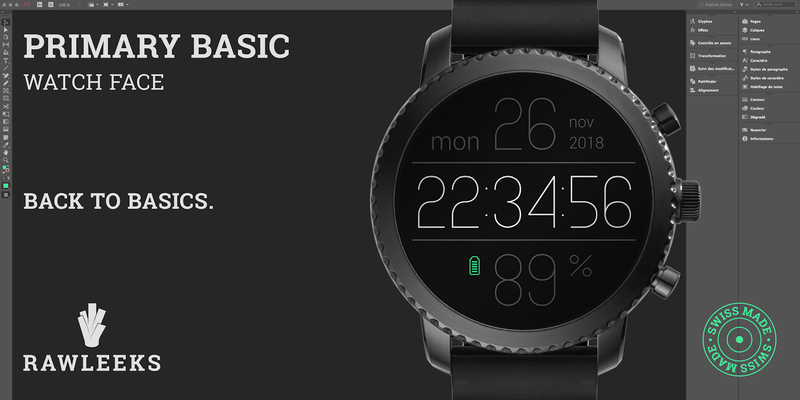 The only downside is that the entire face has to reload each time you want to check the time, and there is no option for a 12-hour clock. 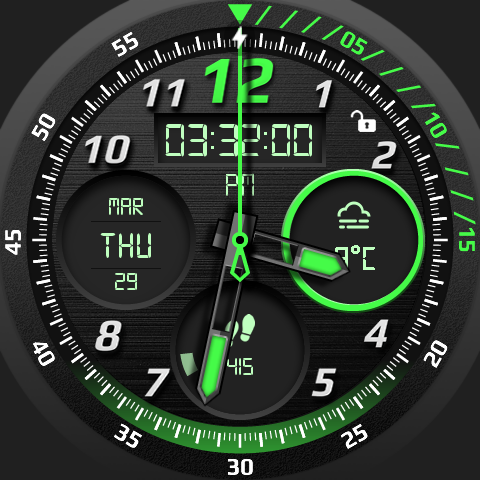 If you are looking for another minimal face that is completely free to use, look no further than the Primary Basic Watch Face from Rawleeks. 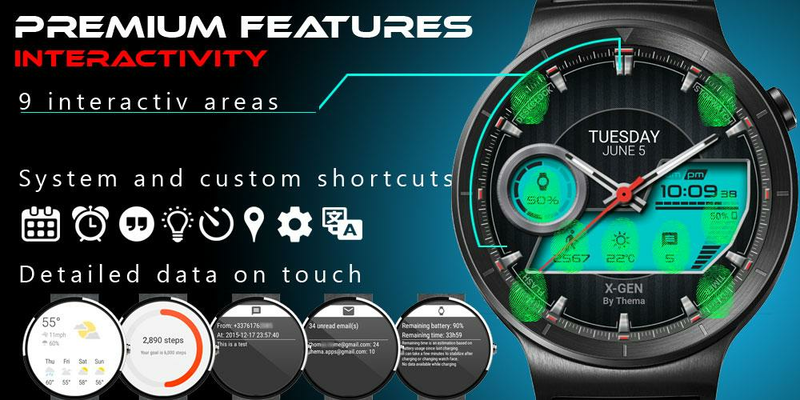 It features a contemporary design that focuses on readability and essential features. 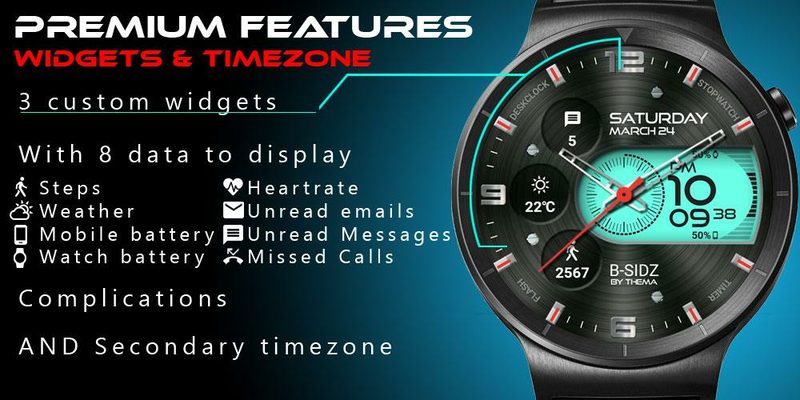 Those features consist of the time, date, day of the week, and an adjustable display time that may drain your battery faster than you would like. 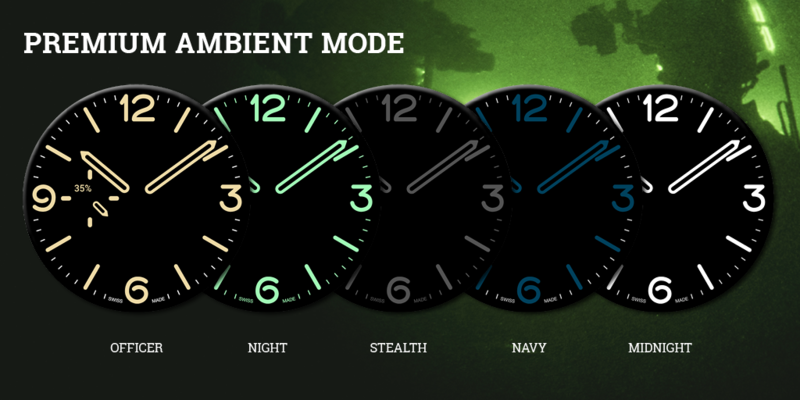 As long as you avoid the ambient mode, you should be fine. 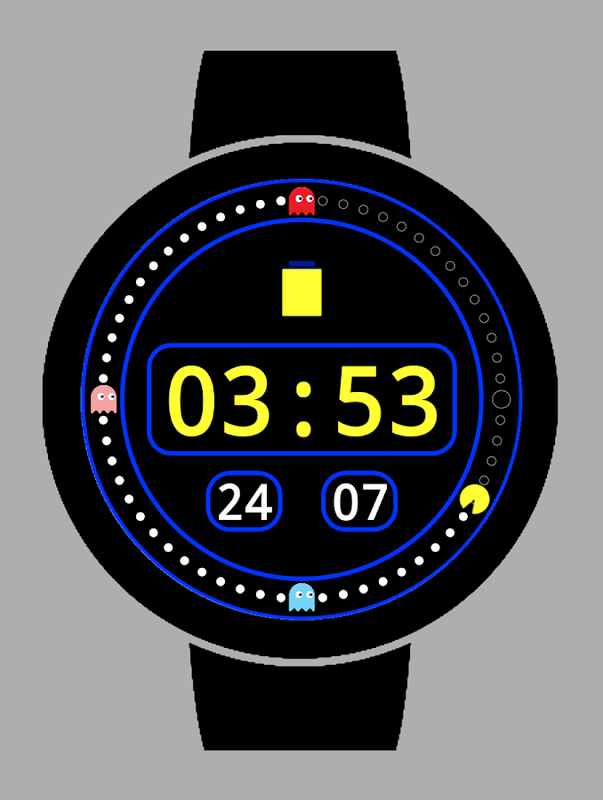 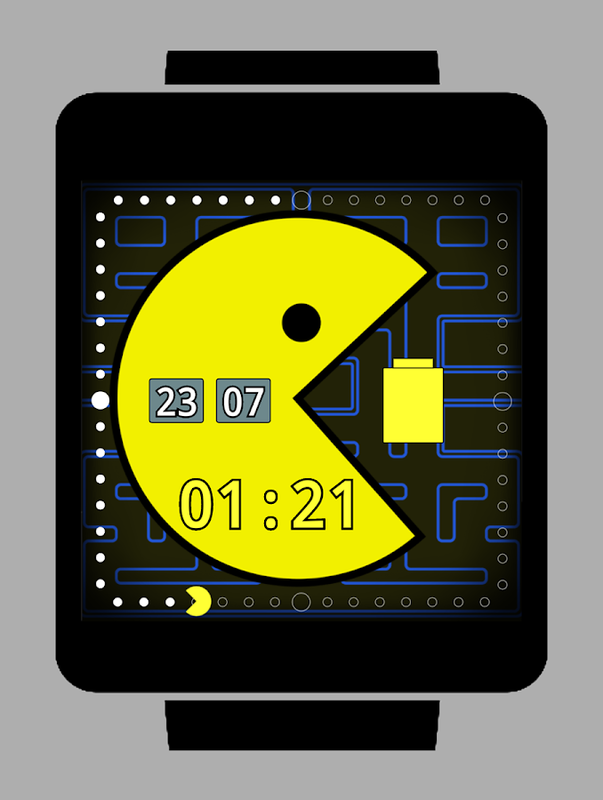 WatchMan is a dope looking Pac-Man-themed watch face for both Wear OS 1.5 and 2.0. 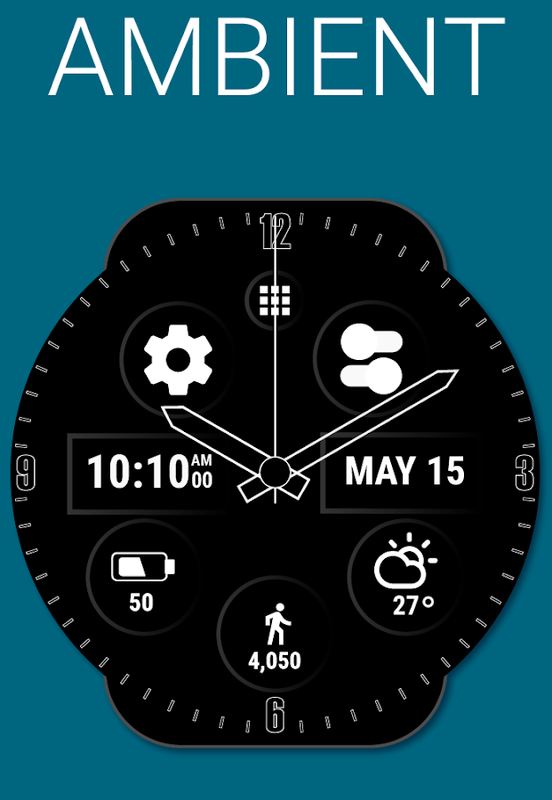 If you are on 2.0, you will need to have this listing installed on both your watch and your phone. 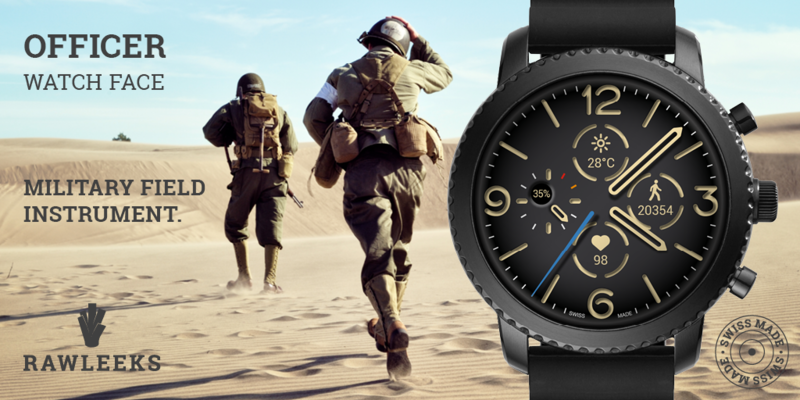 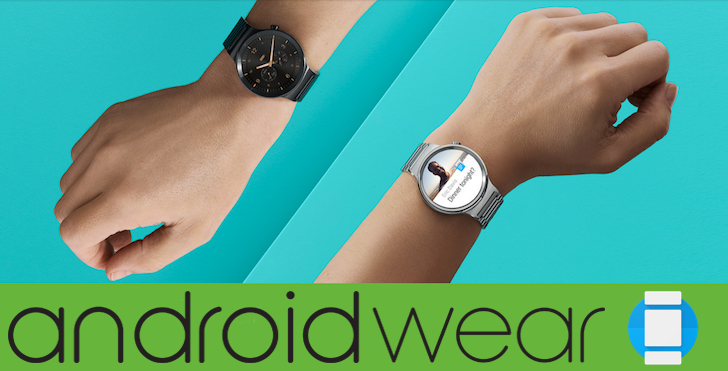 You will also need the Wear OS app installed on your phone. 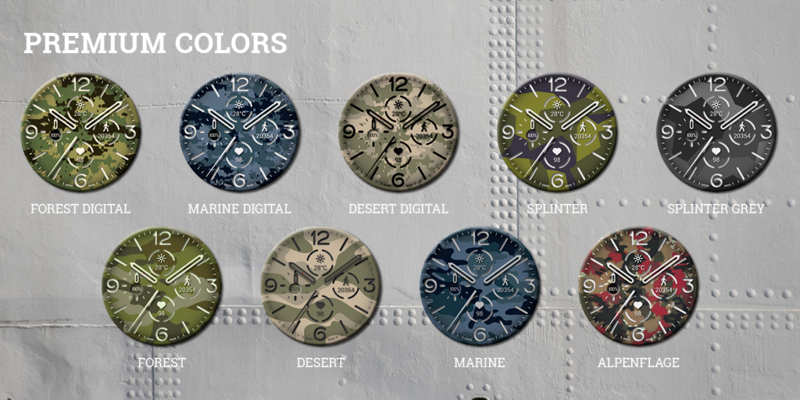 There are two themes included, and plenty of different color styles to choose from. 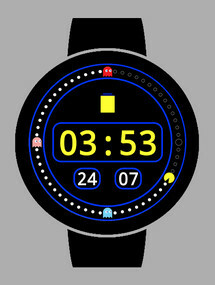 So if you are a big video game nerd like me, you'll want to get this set up on your device post-haste. 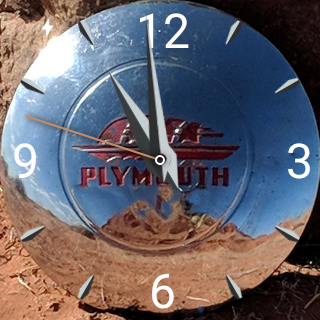 Alright, this listing is a bit of an odd one. 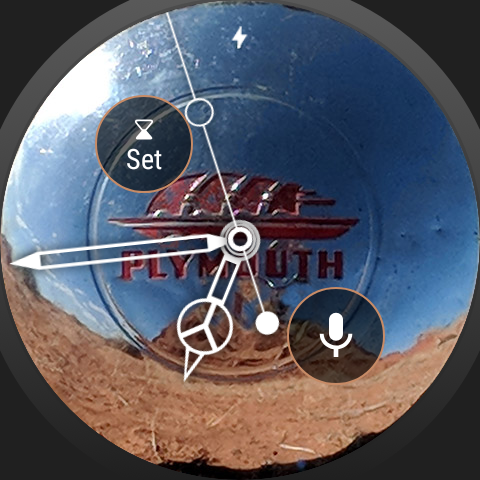 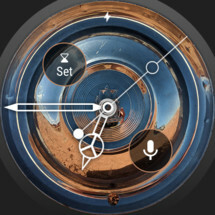 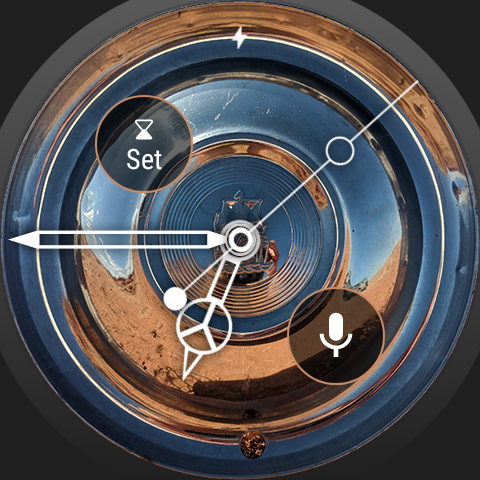 It serves as a slick hubcap face for Android Wear, but it also pulls triple duty as a widget and live wallpaper for any Android OS device. 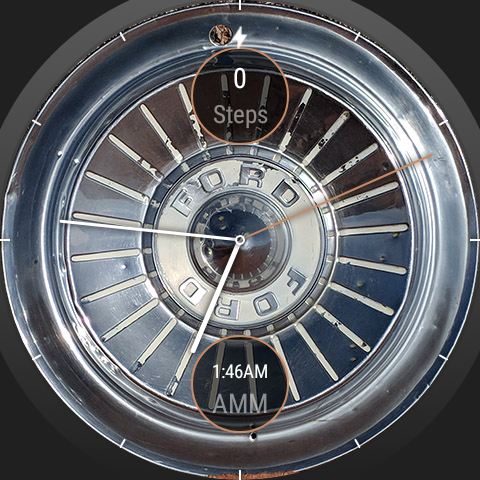 Both the widget and face provide a few different hubcaps to select from, though you will have to unlock the majority through an included in-app purchase. There are nine hubcaps total for the widget, and three faces to select from that each contain three different complication layouts. 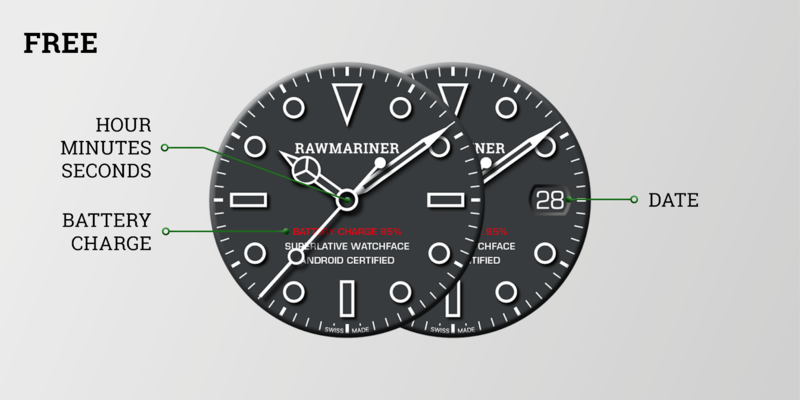 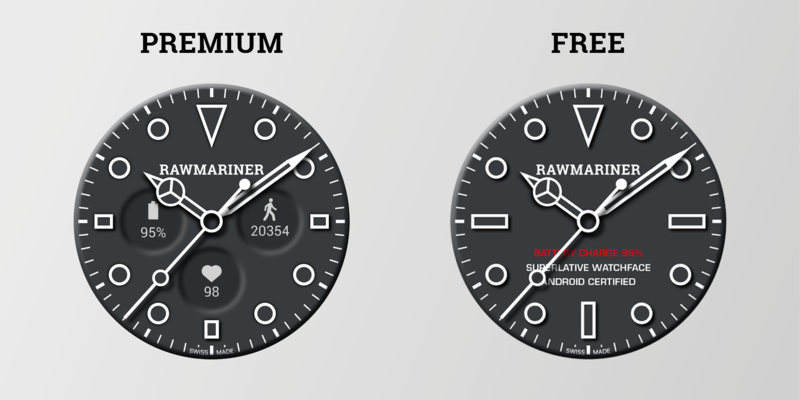 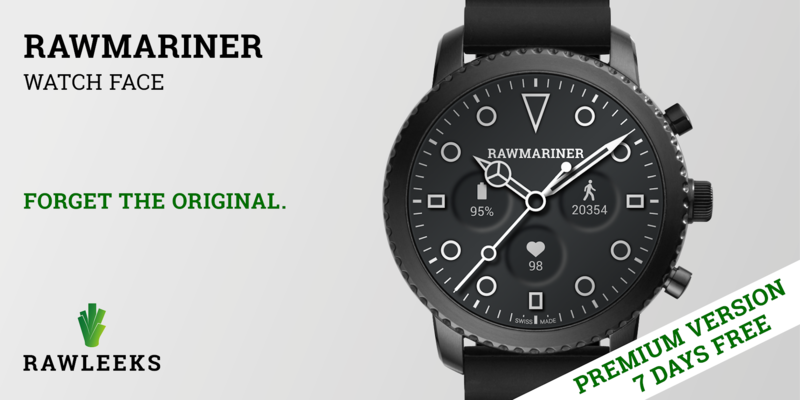 Rawleaks' Rawmariner Watch Face offers a seven-day free trial so that you can check out the entire face without any encumbrances. 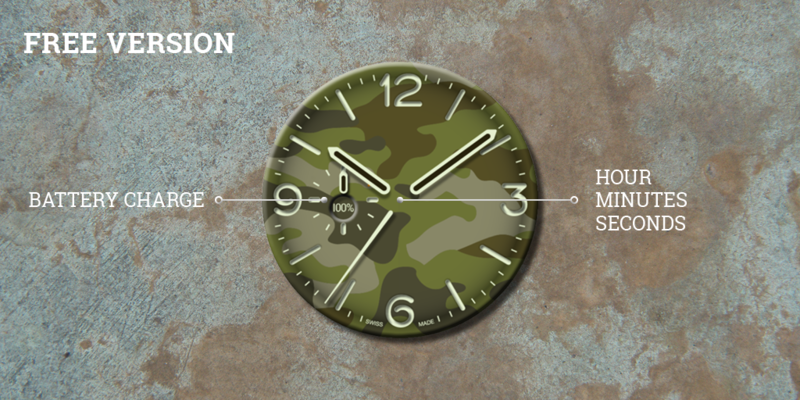 After your allotted time is up, you'll have the option to unlock the face through a single in-app purchase. 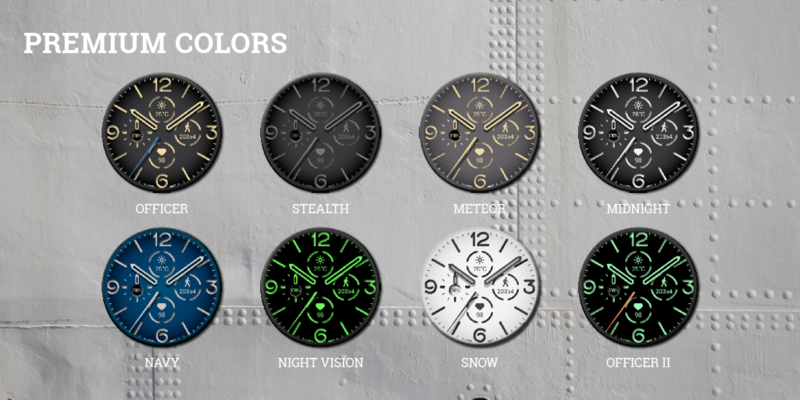 There is a classic Swiss style to the basic theme, and six different colors to choose from. 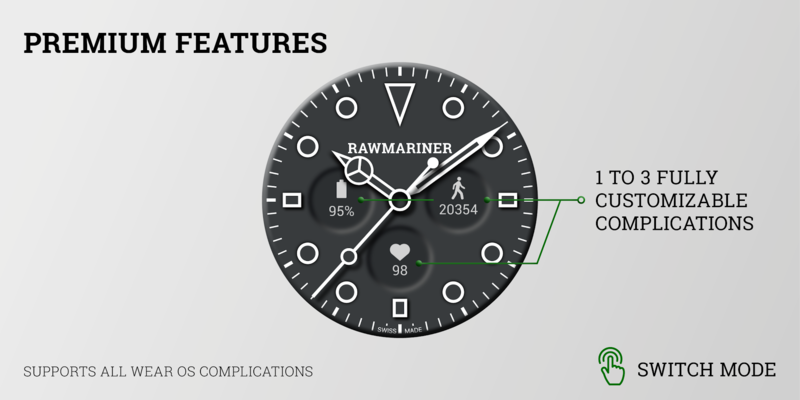 You'll also find three customizable complication zones and an awesome chronograph mode. 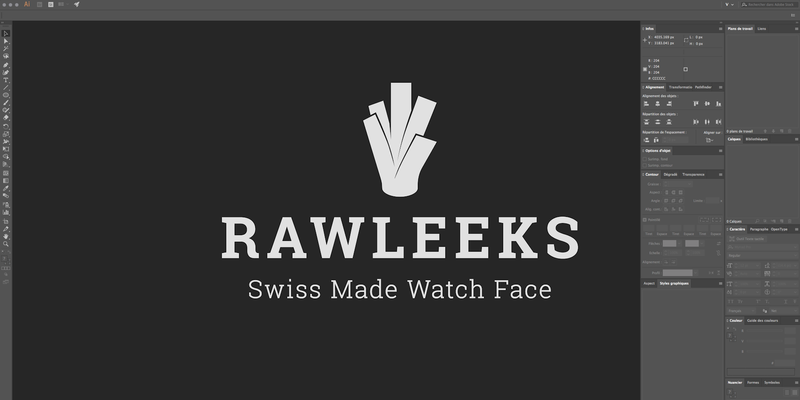 Marine and army force timepieces have inspired Rawleeks' Officer Watch Face. 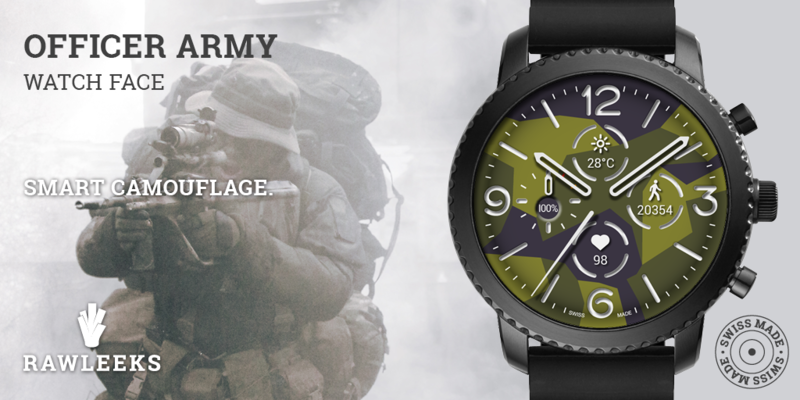 So if you've been looking for a regal military theme, this is the face for you. 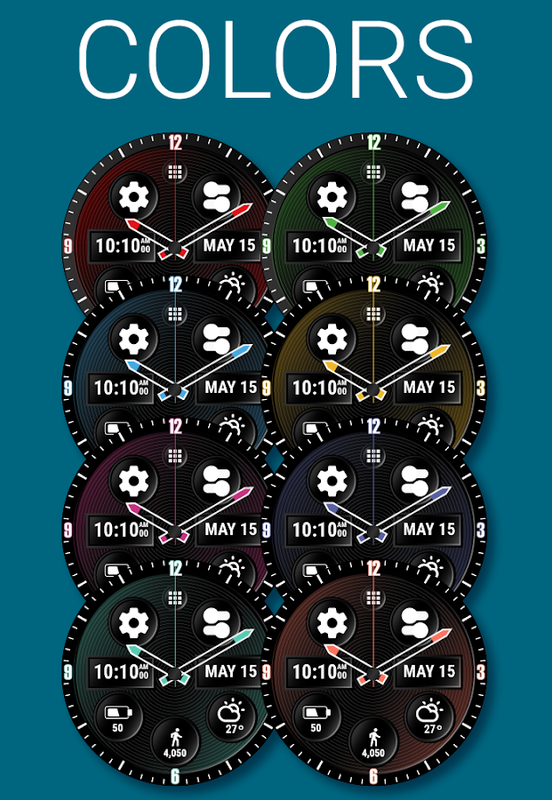 There are three fully customizable complication zones, up to eight colorways, and five colored ambient modes, but you'll need to purchase the premium version for access to the majority of these features. 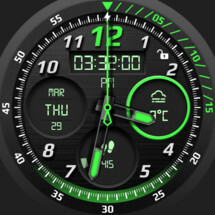 The Officer Army Watch Face is another military-themed face from Rawleeks, but this one displays a cool camo theme for your background. 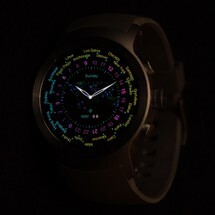 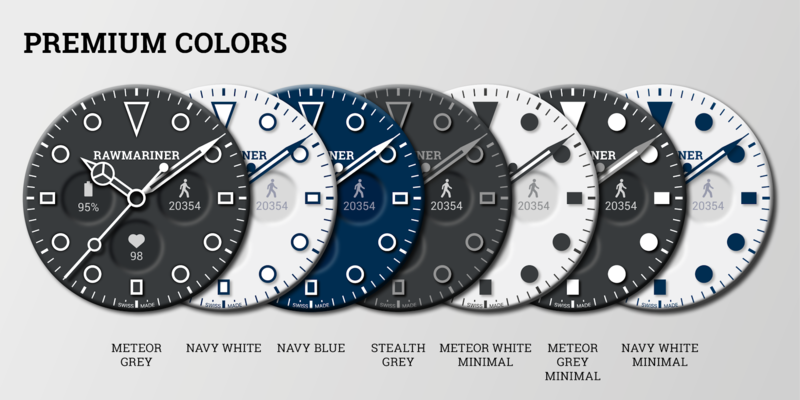 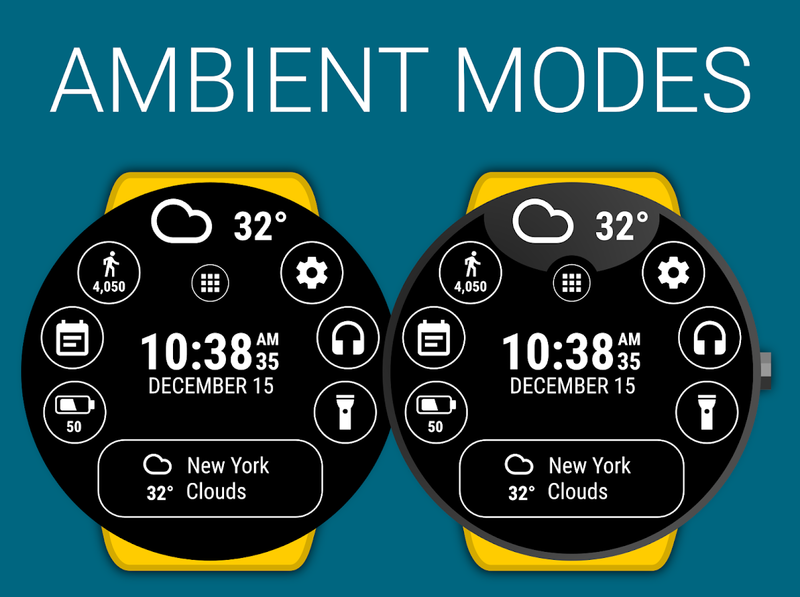 You'll find three separate customizable complication zones, plus nine colorways, and five colors for the ambient mode. 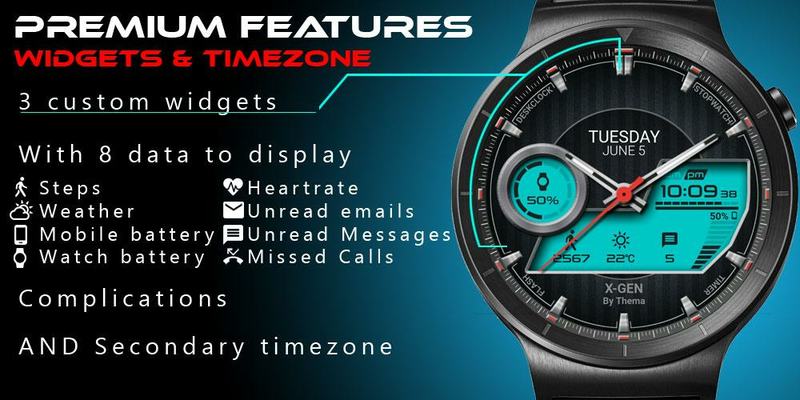 The design of the watch hands and numbers matches that of Swiss timepieces, and the entire thing is optimized for low battery consumption. 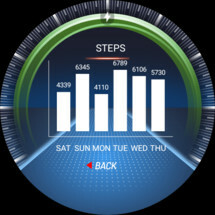 The Cluster Watch Face from RichFace provides a modern digital design with all of the features you would expect out of a Wear 2.0 compliant face. 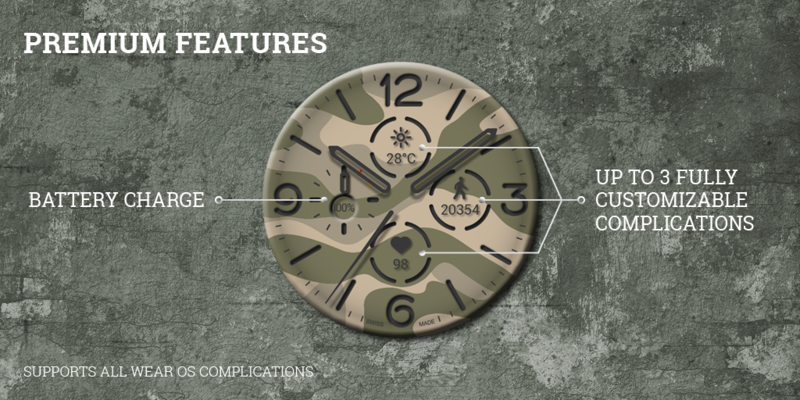 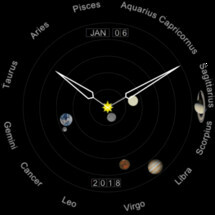 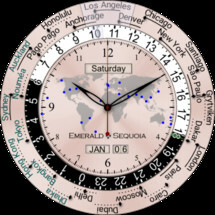 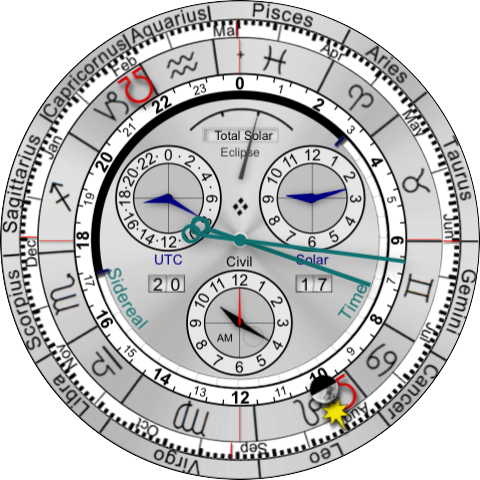 There are nine built-in complications to choose from, and you can easily add your own in four separate available zones. 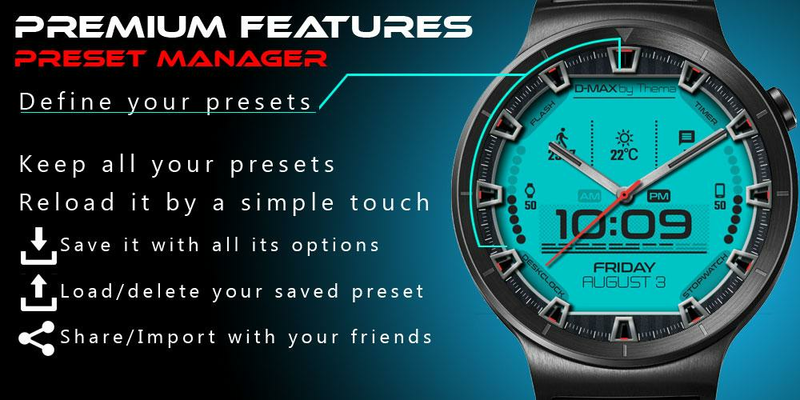 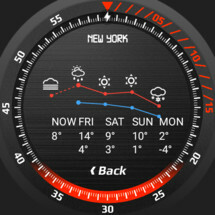 There is also a cool option to set the watch to vibrate on the hour, every hour. 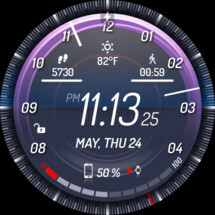 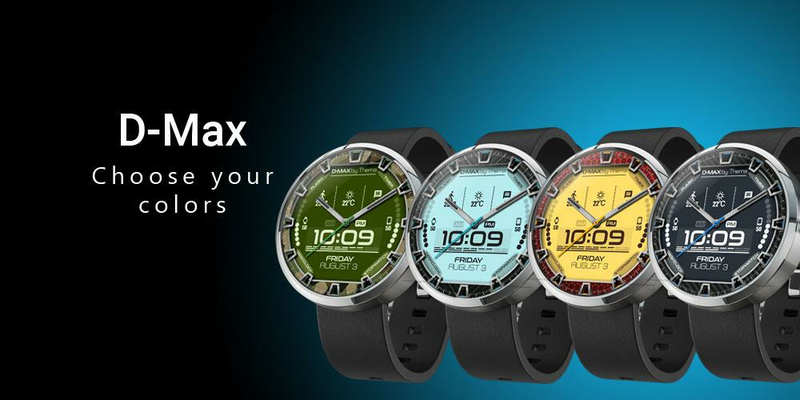 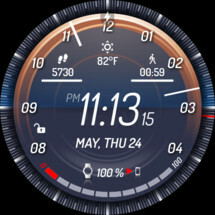 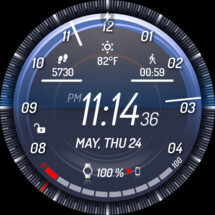 The Rotax Watch Face is easily readable thanks to its large numbers, and it's quickly customizable thanks to its hot zone at the bottom of the screen. If you use this face for free, there are a few complications to choose from, but you can also unlock a lot more through a few in-app purchases. 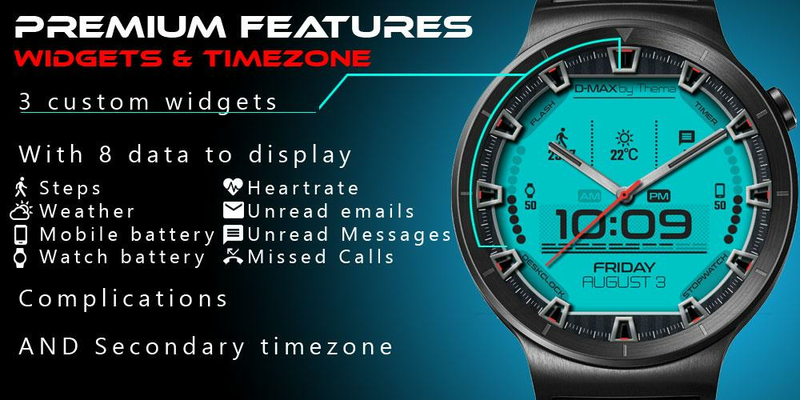 The Digital Monster Watch Face offers an interesting design with both analog hands and a digital face. 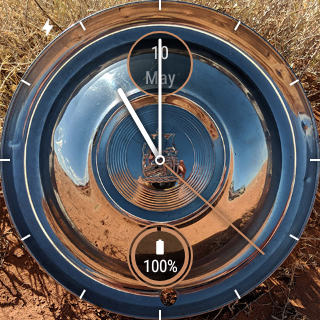 The hands can get in the way of the digital clock, which can make it difficult to read, but you do have the hands as a fallback for the few times of the day it's an issue. 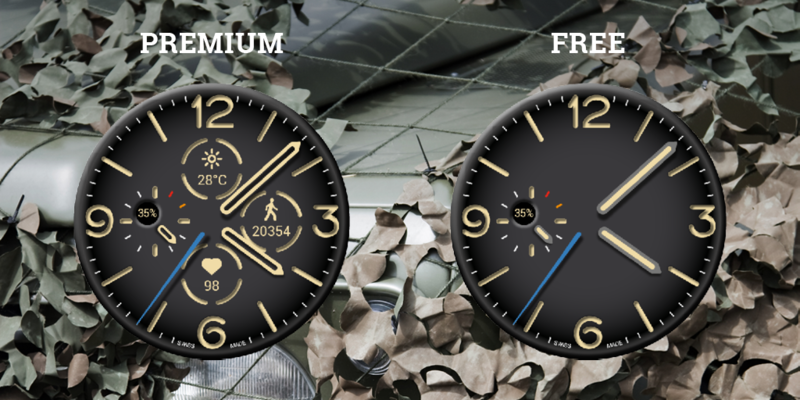 The free version supports two complications out of the box, and there are nine more to choose from if you unlock all of the face's features through a single in-app purchase. Square watches are not suported. 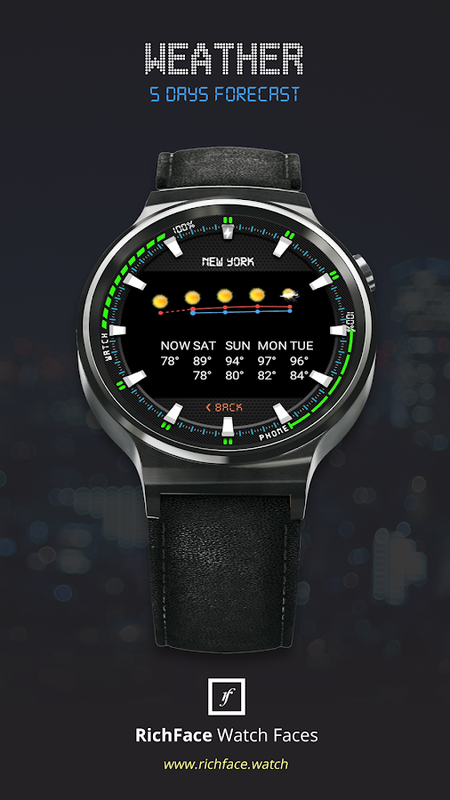 HuskyDEV's Thermo Watch Face is a slick looking face that actually changes color in accordance with the weather. 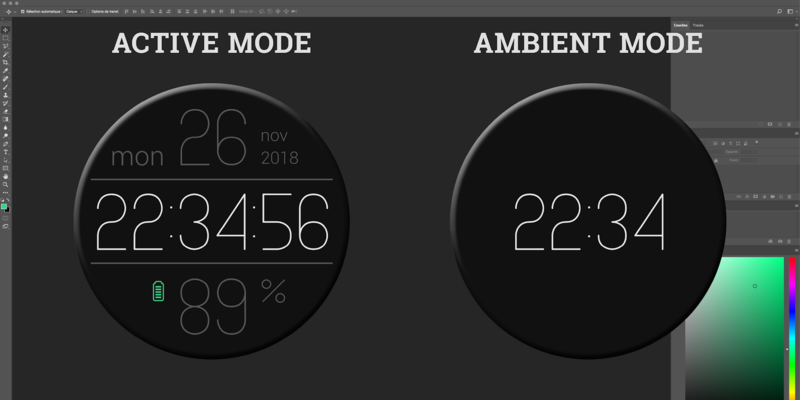 How neat is that? 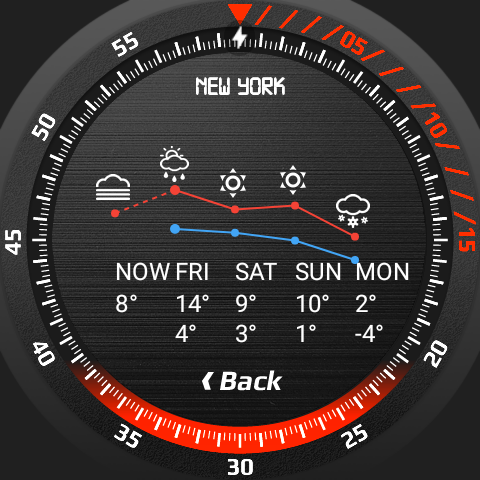 Just one quick glance at your watch and you'll know if it's hot or cold out. 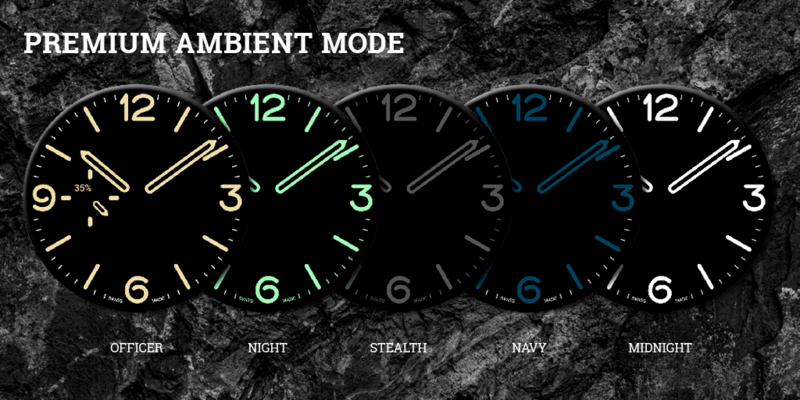 The ambient mode does not include these colors, but it does match up with the design, which is appreciated. 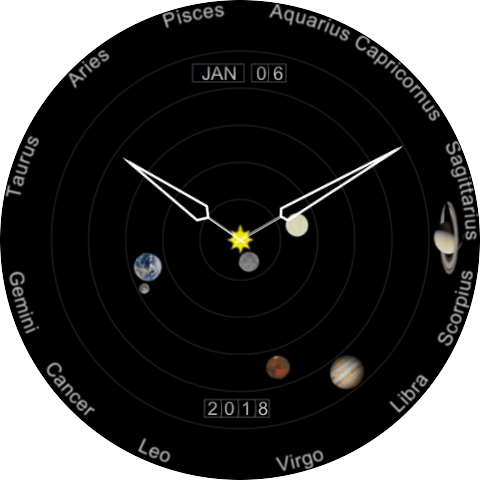 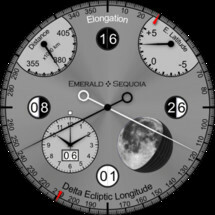 The free version has more than enough useful features, but if you want complete access to each of the 13 available complication zones or further theme customizability, you will have to cough up some of your funds. HuskyDEV is one of the few developers who consistently releases new watch faces on the Play Store. This Spin Watch Face utilizes a simple design that is great for everyday use. 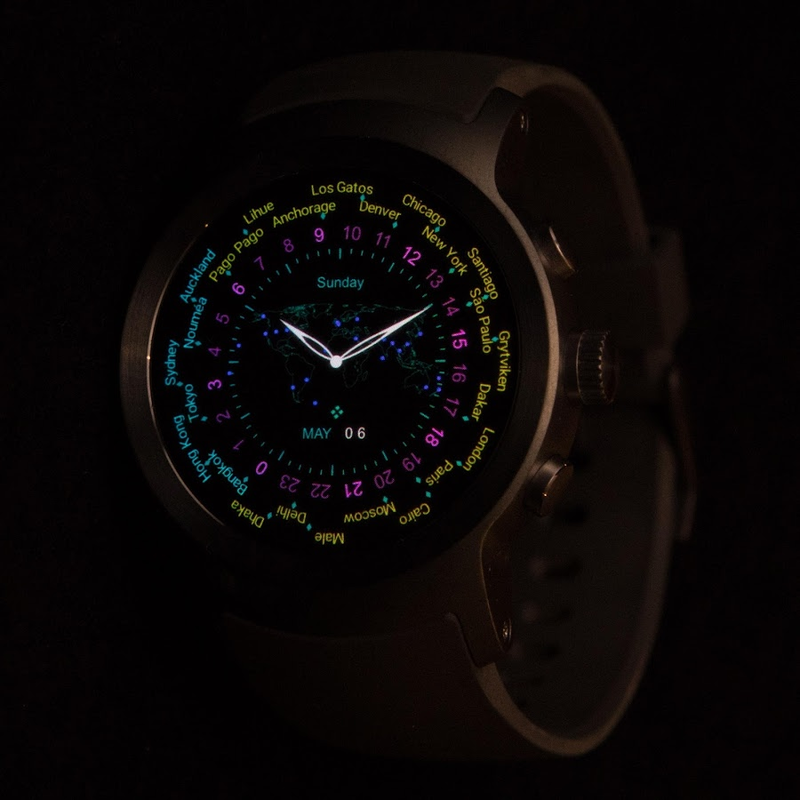 There are plenty of color choices to pick from for your theming options, and the five available complication zones let you easily link to the features you use the most. 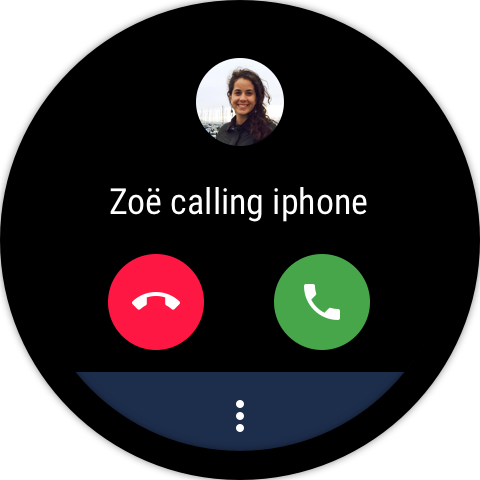 Some complications are locked behind in-app purchases, but at the very least you can install this face for free to put it through its paces. 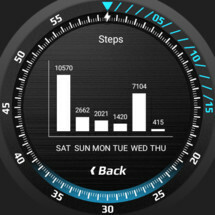 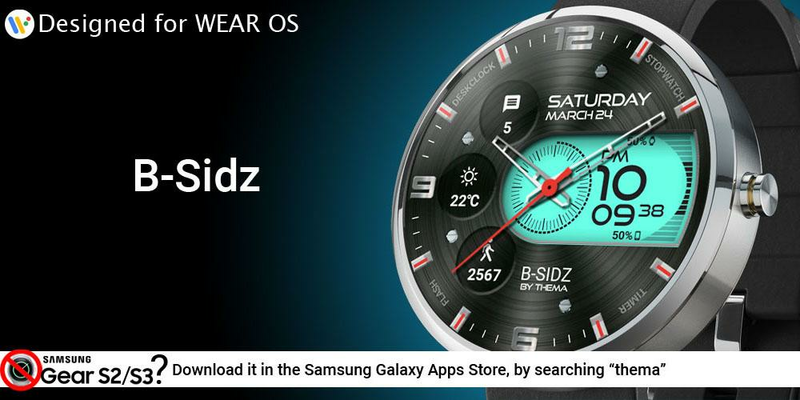 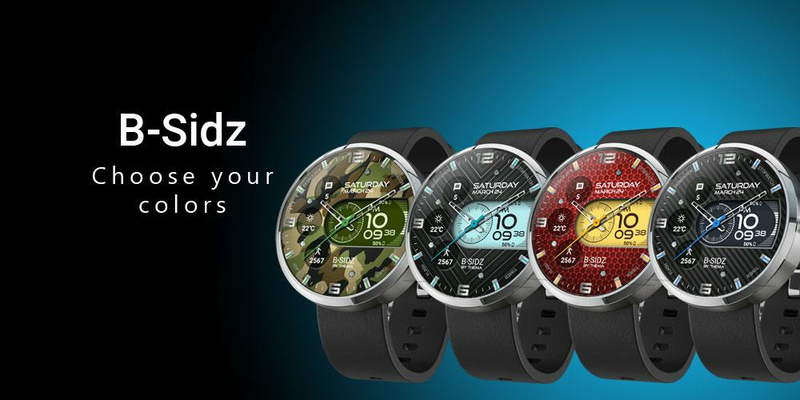 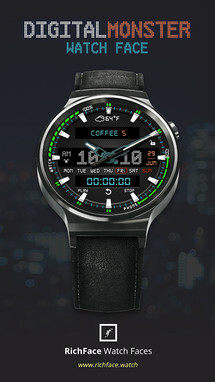 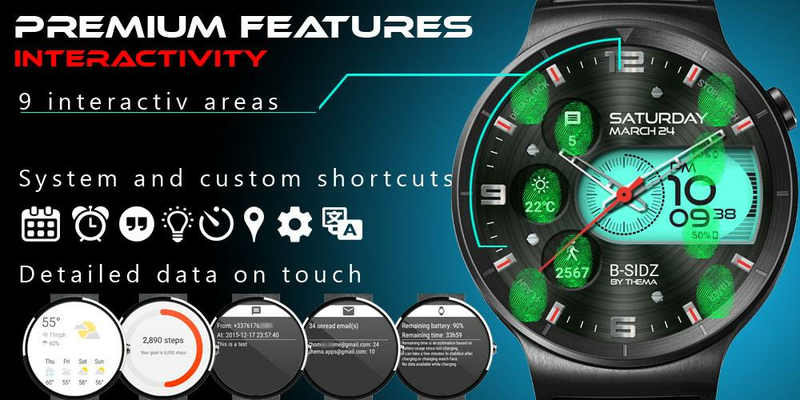 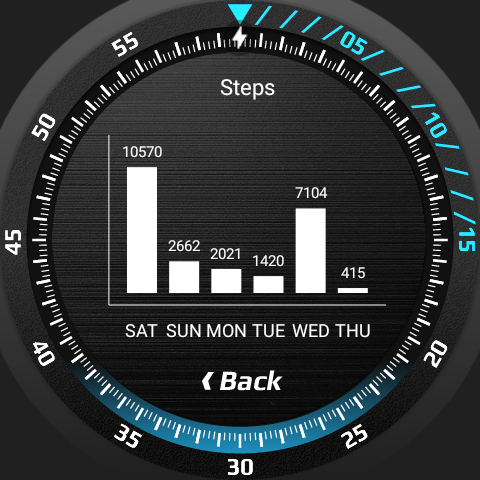 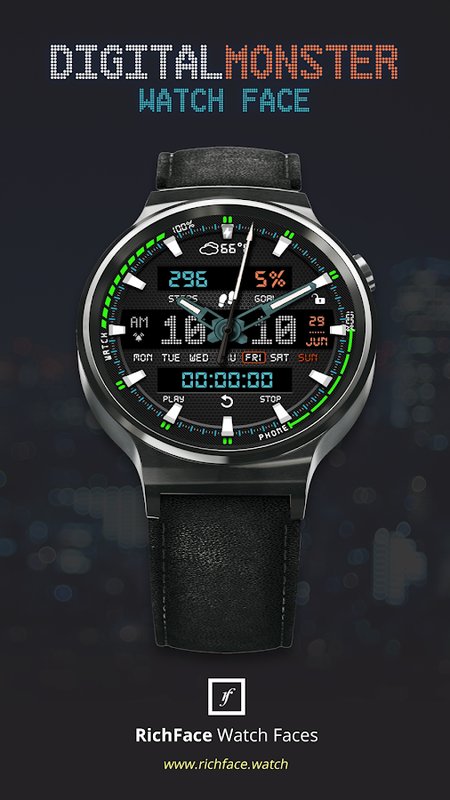 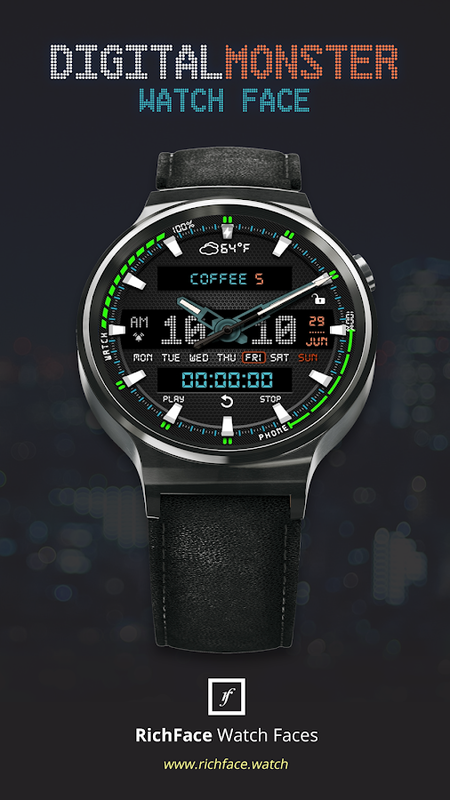 B-Sidz Watch Face offers a classic sports watch style face. 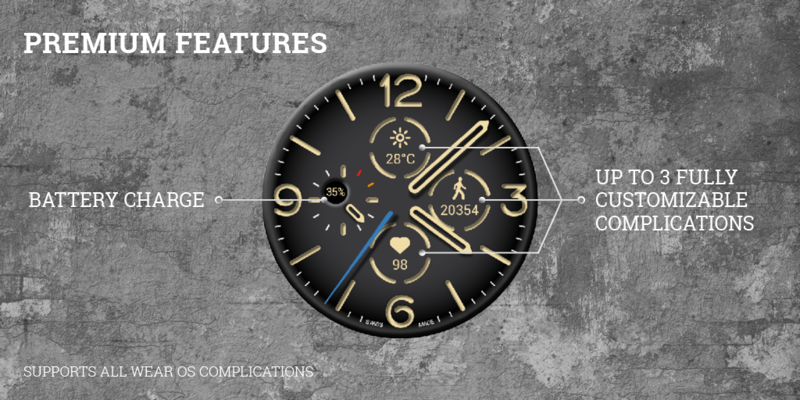 You can customize the face's colors to suit your tastes better, and there are three areas you can place your own complications into. 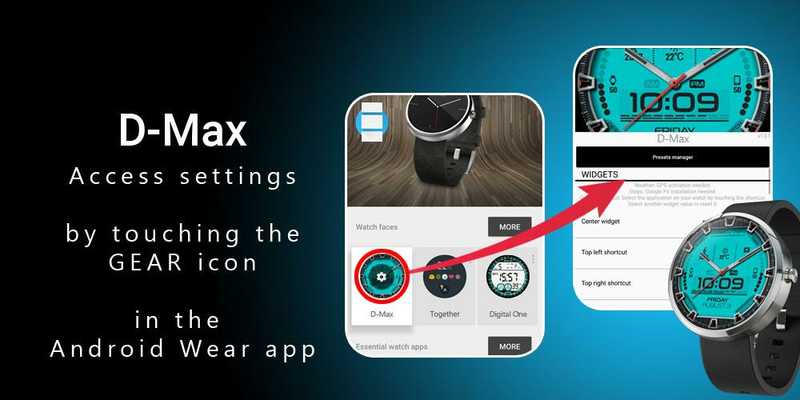 Some features are locked behind in-app purchases, but at least you can try the face for free before you have to spend any money. 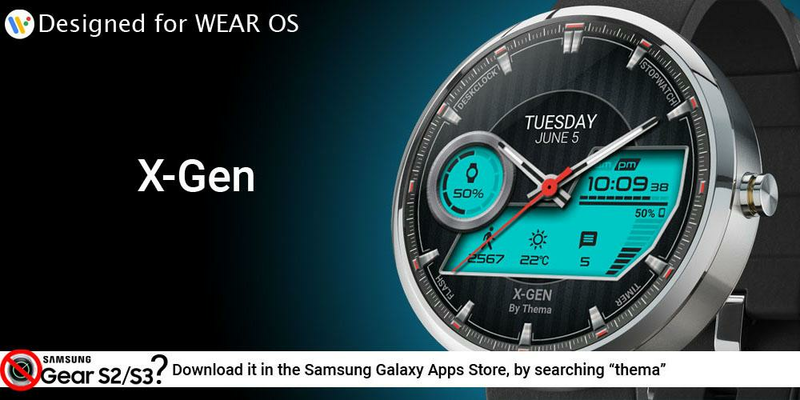 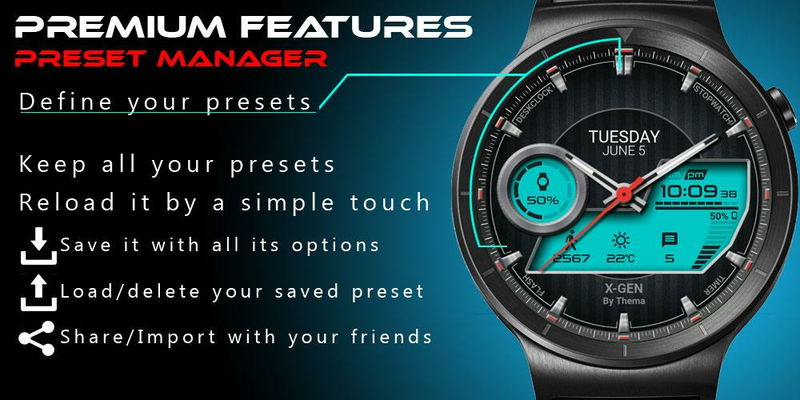 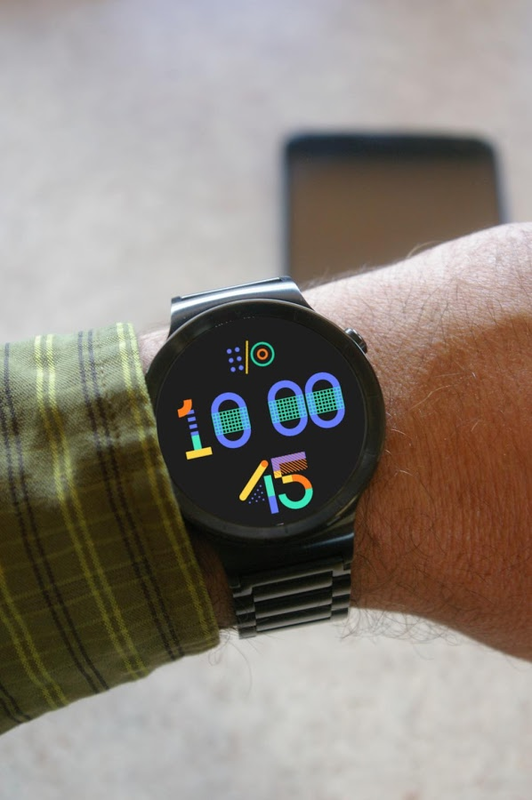 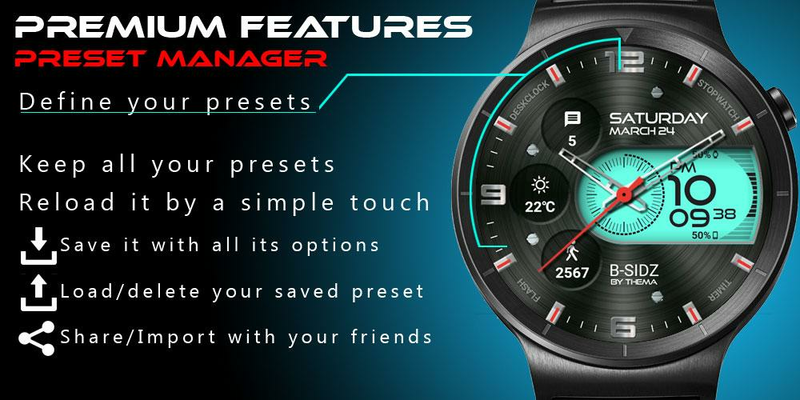 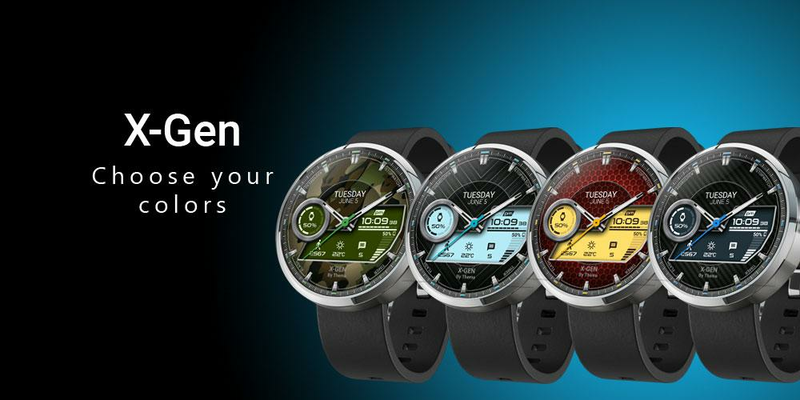 The X-Gen Watch Face from thema is a spots-watch-themed face. 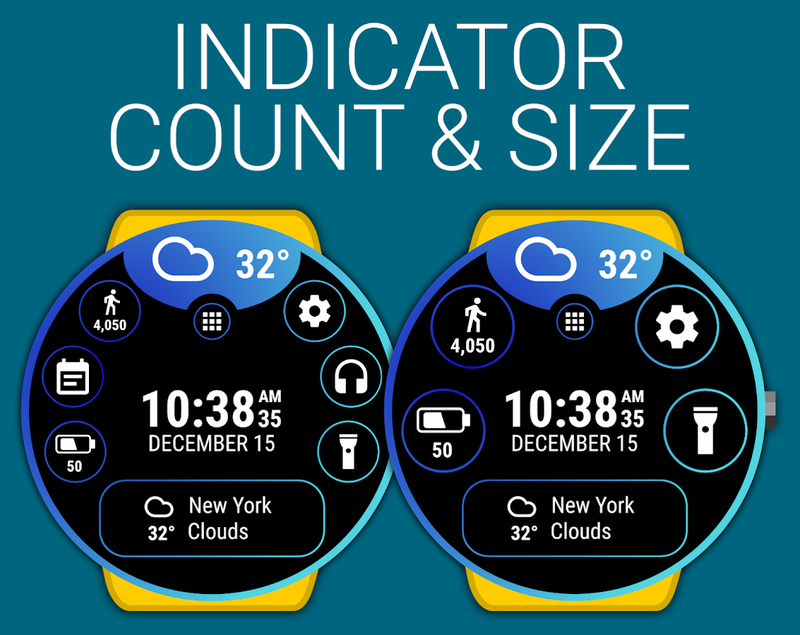 There are multiple themes to choose from, three custom widget zones, eight different built-in complications to choose from and you can also use your own. 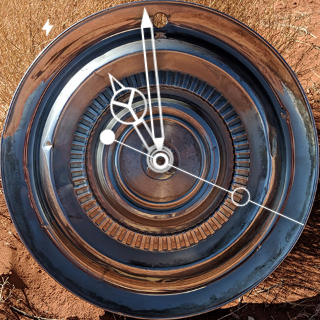 Just like every other free-to-play face, most of these features are locked behind a few in-app purchases, but at least you can try the face for free before you plunk down your hard-earned cash. 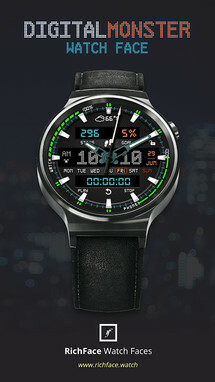 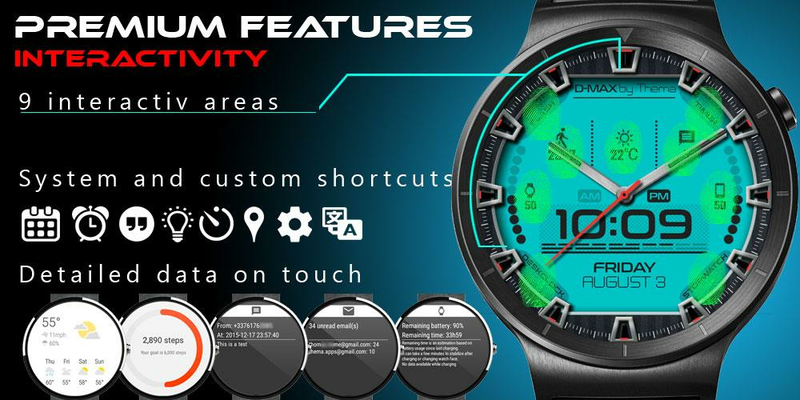 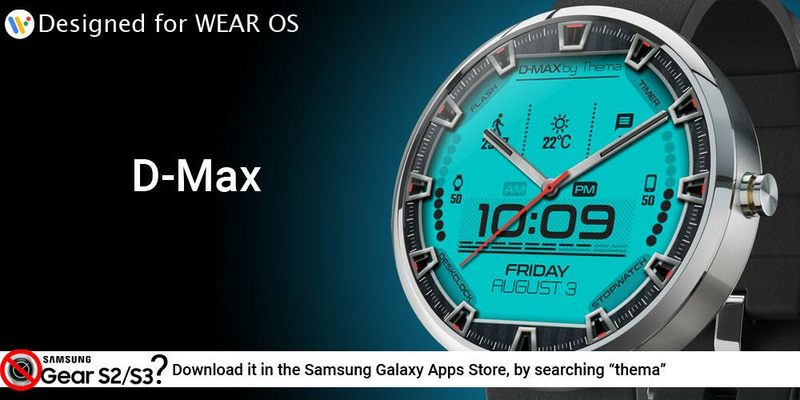 The D-Max Watch Face is very striking. 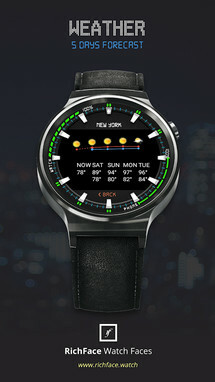 It reminds me of sports watches from the late '90s-early 2000's that used a proprietary glow behind the face that made it easy to tell time. 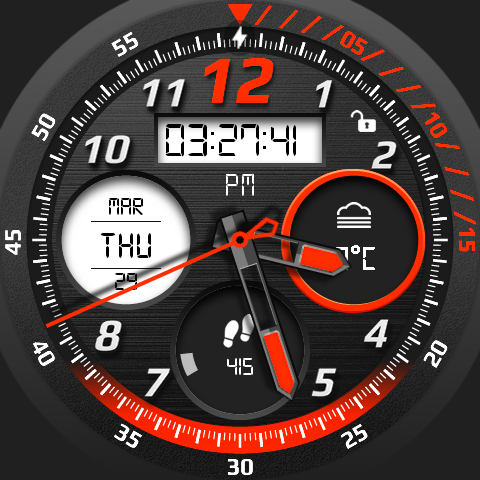 Of course, such a thing is not necessary for a smartwatch, but it looks pretty cool all the same. You can switch from a 12-hour to 24-hour mode, and you can choose from up to eight different indicators if you have unlocked all of the features of this face through its in-app purchases. Emerald Chronometer serves as a limited demo you can try for free. 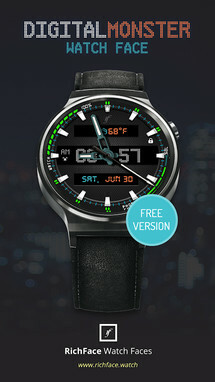 If you would like to unlock the full watch face and all of its features, you will have to do so through an IAP, or purchase a separate premium version for $14.99. 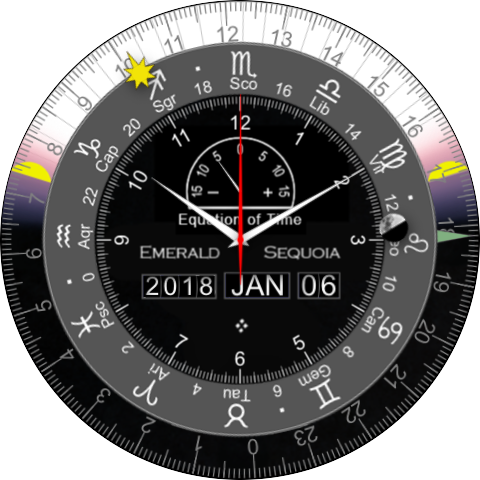 There is no doubt that this is an expensive face, but you can unlock 21 different models of high-end analog mechanical watch faces, which may very well be worth it to a few of you out there. 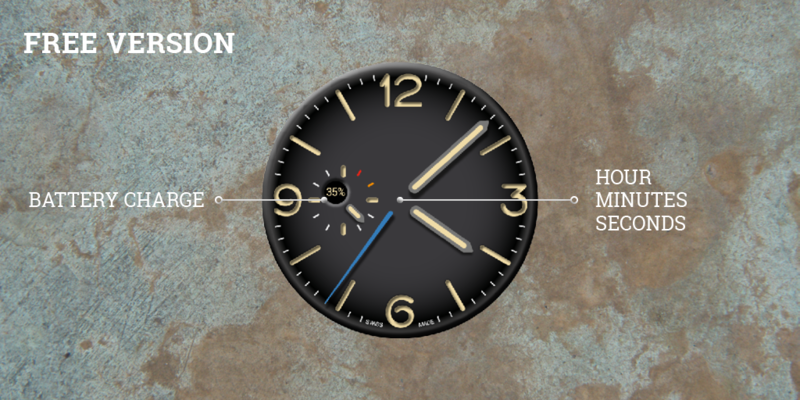 If you have an application in mind for the next issue of the Wear roundup, feel free to send us an email and let us know. Important: there are 2 requirements in order for the app to be considered, listed below.